A vapor trail streams across an empty sky. Steel wheels slowly grind to a halt in the early morning fog. 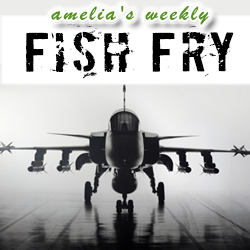 We’re headed to the heart of critical embedded system design in this week’s Fish Fry. Nigel Forrester (Concurrent Technologies) and I chat about overcoming the challenges of high performance embedded computing, the importance of security in Intel-based processor cards, and what the “Under 17 Car Club” is all about. Also this week, we attempt to unravel the mysteries of industrial power supply design.